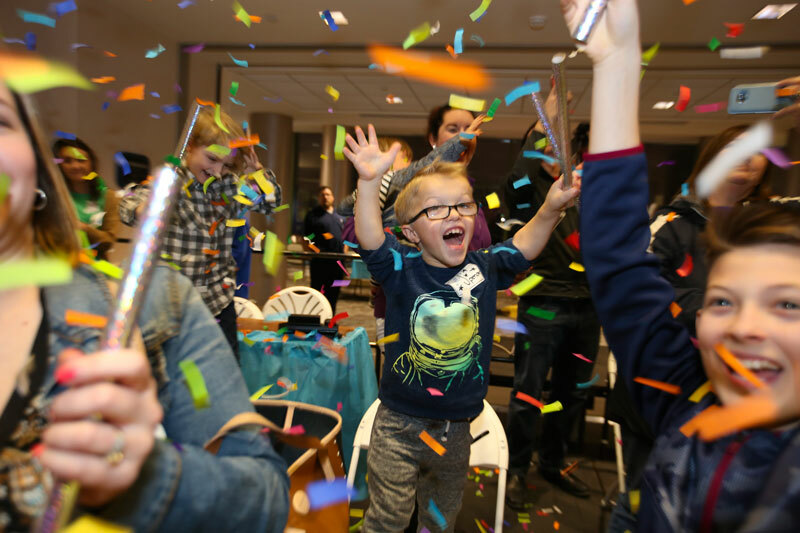 Patient Spencer Beal celebrates as the total raised during the 2018 “Have a Heart, Do Your Part” Radiothon is revealed. 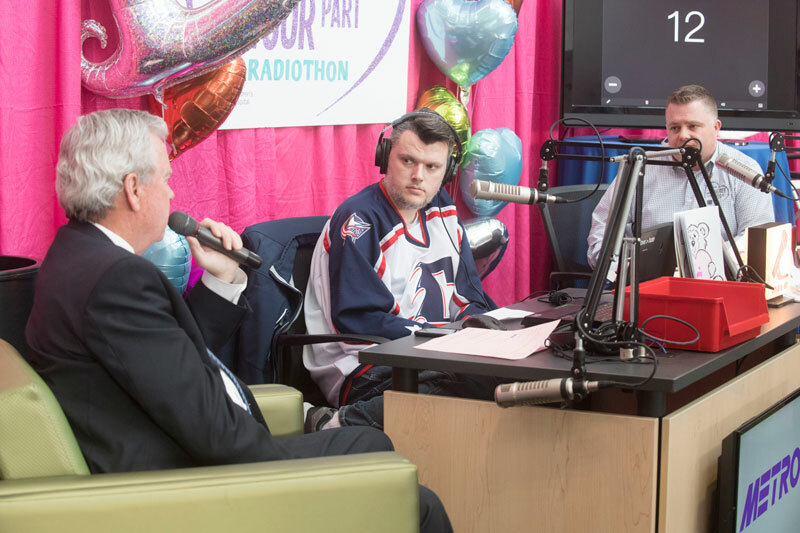 The 19th annual 98.1 KDD “Have a Heart, Do Your Part” Radiothon benefiting Akron Children’s Hospital continued growing this year, raising $657,405 for the hospital – over $100,000 more than the amount raised in 2017. “Year after year the community rallies behind the hospital in such a big way, and we couldn’t be more grateful,” said Nicci Avalon, Children’s Miracle Network Hospitals program manager at Akron Children’s. Change Bandits started the festivities at the Akron Zoo with the annual Change Bandit Bash. This year close to 300 community members, businesses and groups signed up to “rob” friends and family of their spare change to support Akron Children’s. The Change Bandits who attended the bash brought their buckets, jars, bags and cans of coins to the zoo and raised more than $17,000 to kick start the fundraising. Throughout the 3-day event, Keith and Tony from 98.1 KDD’s morning show broadcasted live from the hospital’s lobby and encouraged listeners to call or text in a donation. Akron Children’s CEO Bill Considine stopped by Radiothon for an interview with Tony and Keith from 98.1 KDD’s morning show. 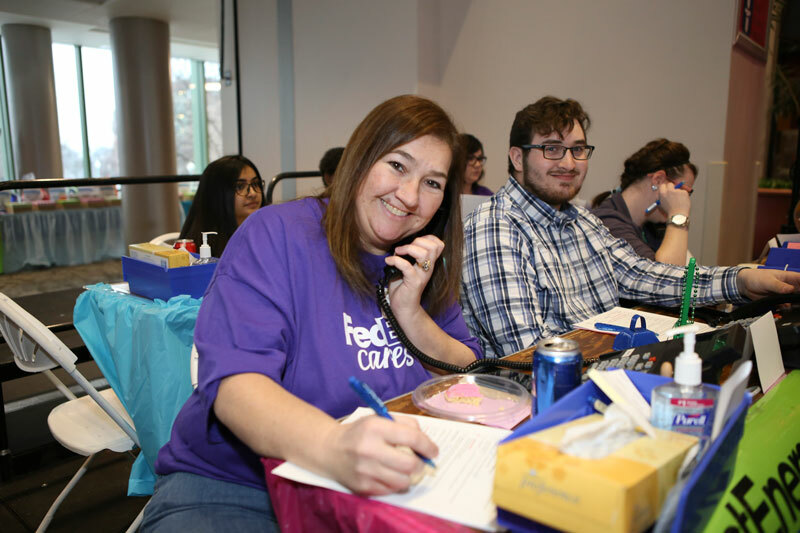 Thank you also to the more than 300 volunteers from over 30 area companies, groups and hospital departments who worked the phone banks throughout Radiothon, and the additional 250 volunteers who made the event possible. More than 300 volunteers manned the phone bank taking donations during the 3-day event.